Rocky Mountain Power is one of many around the country turning up their investment in wind. In April of this year, the western utilities company announced new wind projects spanning Utah, Idaho, and Wyoming. 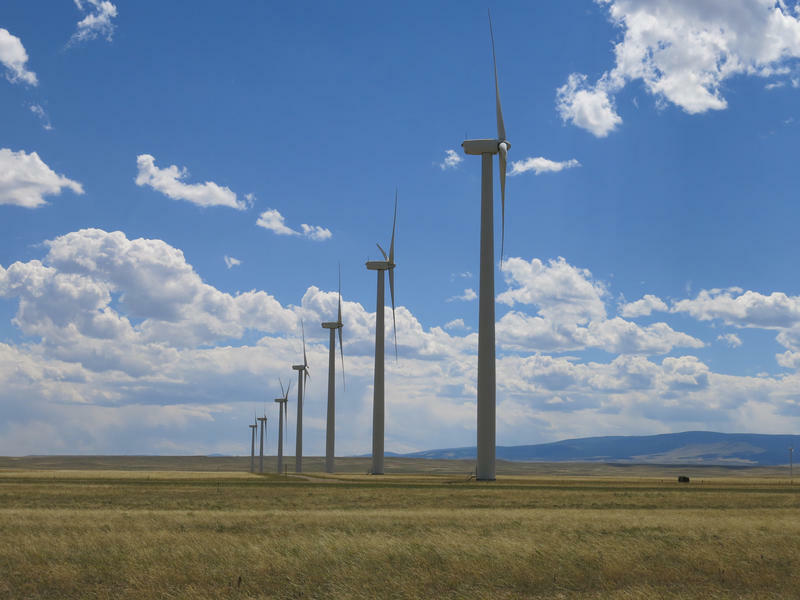 They plan to spend around $3.5 billion to add new wind generation to the western electric grid, upgrade turbine technology, and build a much-needed new transmission line, Gateway West, which carries generated energy out of Wyoming. Rita Meyer, Vice President of Rocky Mountain Power for Wyoming, explained why now is a critical moment to invest in wind. “We need to have these projects in the ground and fully operational by the end of 2020 to qualify for the production tax credit so that is the driver of doing these projects now,” she says. The production tax credit, or PTC, is a federal subsidy that provides a couple cents for each kilowatt/hour of wind energy produced. Though it began in 1992, the U.S. Congress renewed a five-year phase-down plan with bipartisan support for the PTC at the end of 2015. It was a part of a spending bill to keep the government from shutting down. The benefit applies to any wind project started before the end of 2019, though there are ways for projects to qualify for the PTC up to the end of 2020. The tax credit is then counted for ten years after the facility begins service. Meyer said the PTC makes projects like Rocky Mountain Power’s economically viable and it’s not just her company that’s taking advantage. “I think we’re seeing a real spurt now in activity because of the production tax credit and the idea that it will probably drop off after this final push,” Meyer says. That spurt in activity could be huge for Wyoming, if the state was eager to attract substantial new wind investment. According to the Department of Energy, Wyoming has the sixth highest wind capacity potential despite sitting at 15th in installed capacity. 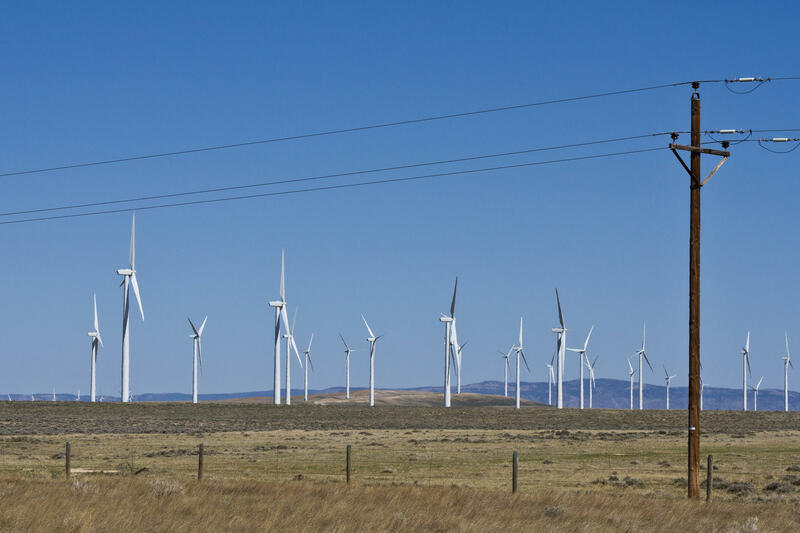 More companies taking advantage of the PTC, along with several new transmission projects, could allow Wyoming to leap ahead in wind investment. This past quarter, there were almost 30,000 megawatts of wind capacity under construction or in development nationwide. The American Wind Energy Association says that’s a record. Things may slow down, however, if the GOP tax reform bill goes through as currently written – it trims the wind power PTC. This window of time could set the stage for where wind energy is produced for years. Many states are positioning themselves to take the lead. Iowa and New Mexico, for example, have state tax benefits for wind energy produced. Texas even funded their own transmission line — ensuring wind developers could actually send their power somewhere. Naughton said Wyoming could be a wind contender. But Wyoming is one of the only states in the country that taxes wind production and there’s talk about raising that tax. But many others in the state disagree. Cale Case, a Wyoming state senator representing Fremont county, doesn’t think Wyoming should rush headfirst into a big wind commitment before certain issues are settled. “Our wind resources are going to be here for a long-time. We have to think about developing it carefully. I think it’s a good time to take a deep breath,” Case says. Wyoming’s economy depends on severance taxes from the state’s extractive industries – coal, natural gas, oil. Though there’s a small generation tax on wind (about $1 per MW/hr), Case says it’s not enough. The tax brings in about $4 million to the state per year, according to Case. “I think we need to get a permanent sustainable tax to compensate us for what’s happening, this will allow us to have revenue for future generations of Wyoming folks to build schools, roads and take care of the things we need to take care of,” he said. Arguably, the opportunity to invest in wind won’t be around forever. As technology improves, more states are becoming viable sites for wind farms. While Wyoming has the best wind in the western grid, companies would likely move if the political situation became too burdensome. Paul Martin, President of Intermountain Wind based out of Denver, said the state of Wyoming has to be more intentional about welcoming wind if it wants to grow the industry. Specifically, he said it should find ways to increase transmission capacity. “The state could definitely be a leader in the wind industry if it encouraged the industry and invested in transmission to allow for the industry to continue,” Martin says. Wind proponents point to the industry as a way to bring more jobs and revenue to Wyoming — even if it’s just a piece of the pie in helping to replace the slowly declining coal industry. That’s appealing for a state increasingly looking to diversify its economy away from a fossil fuel dependence. But a wholesale shift in favor of wind is not likely to come quickly enough to take advantage of the current window of opportunity. Editor’s Note: This story was changed to reflect the fact that Wyoming is not the only state with a wind tax. Minnesota also has one. Experts from around the country gathered Monday to discuss Wyoming’s wind energy future. The free conference was organized by the Ruckelshaus Institute and the Center for Energy Economics and Public Policy. Wind is widely considered a growing industry with consistently decreasing price sand Wyoming is considered to have one of the best wind resources in the country with high potential for growth. Wyoming: Ground Zero In A New Global Wind Race? The entrance to the community center in Rawlins, Wyoming smells like an old musty, floral perfume. The smell doesn’t match the view: several burly men are lined up to fill out name tags and sign in. Younger men mill around, waiting on their fathers and grandfathers. A few women dot the crowd. About 100 people have shown up to hear about free training to be a wind turbine technician. Over 80 percent of new wind power last year went up in states that voted for President Donald Trump. It may sound strange when Trump’s aim is to bolster coal, not wind, but what red states usually promote is individual choice and a smart use of money. 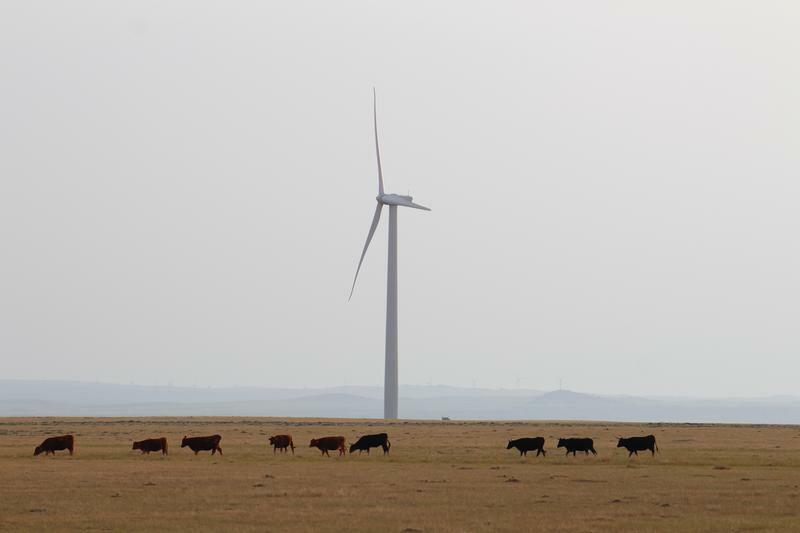 Now, wind power large and small is literally changing Wyoming’s energy landscape. Some of that changing landscape will be around Chugwater, Wyo., population 212. Chugwater claims the state’s oldest operating soda fountain. But finding farmer Gregor Goertz was more of a challenge. Laramie sees a lot of wind, but it’s about to see a lot more wind politics. The University of Wyoming’s Center for Energy Economy and Public Policy and the Ruckelshaus Institute are hosting a wind conference next week called Wyoming’s Wind Energy Future. Wind energy projects are being built all over the U.S. and a new report shows just how fast they're cropping up. The American Wind Energy Association found that, since last year, the amount of wind energy under construction or nearly under construction increased 40 percent. That increase is enough to power more than 1.6 million homes on average. Now, not all of the wind energy planned last year has come online this year, but more than half of it has.